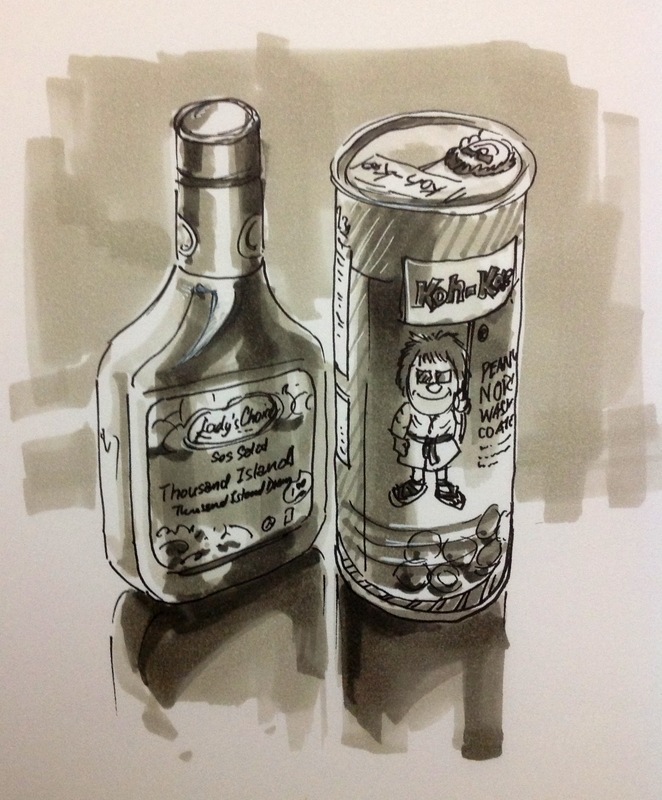 Since the end of last year 2013, I started urban sketching and joined some portrait sessions at OIC Portraits After Dark, some fun sketching sessions with Dr.Sketchy and Spore Art Salon. These are traditional style on papers. Almost forgotten that I used to love marker rendering when I was a visualizer with the advertising agencies. I kicked off with some random stuff. 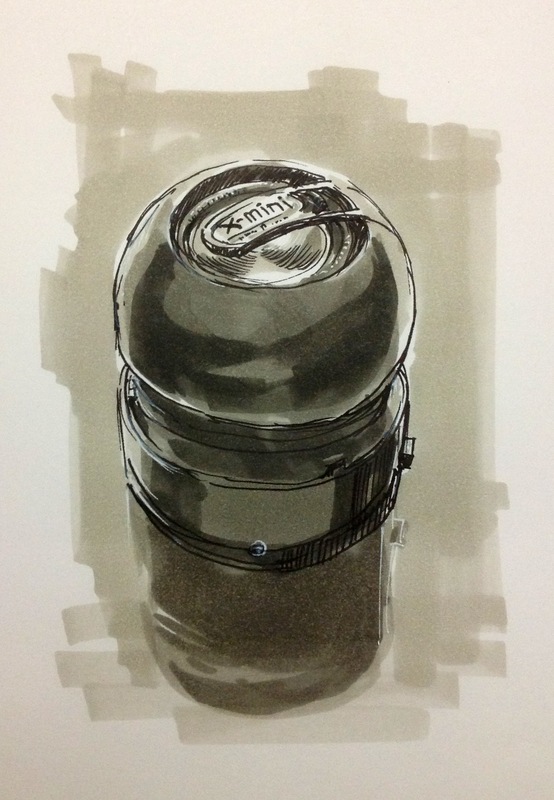 Simple cool grey copic marker rendering. And I simply enjoyed it. Each was 8 minutes flat rendered, quick and fun! X-mini speaker. Totally matt to begin with, minus the glossy feel which I always encountered. The left is Salad cream bottle. The right is Koh-Kae peanut can which is my favourite tidbit. Such simple joy I re-discovered! And since this post is totally random, here is my napkin sketch. 5 minutes each portrait. 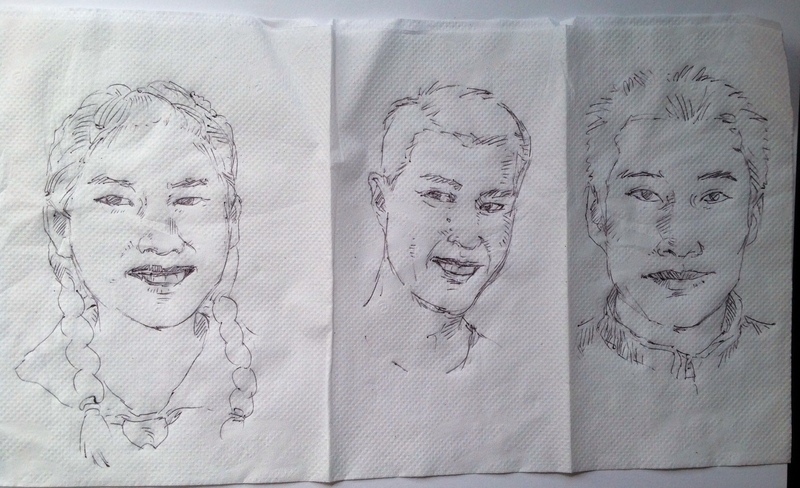 Ball point pen scribbling on napkin. Kinda interesting and tricky because too much pressure will tear the napkin.